Twenty5Eight are a multi service agency provider. We have four divisions that all interlink to provide a sell in – sell out service. Each division is a stand-alone service provider that our partners can use in silo or bring together as their project dictates, the four divisions are: Sales Consultancy, Field Marketing, Social Media Management and Strategic Development. There is no such thing as an average day at Twenty5Eight! This is the reason why we love doing what we do, every day is different, every day throws up its own challenges and every day leaves us feeling rewarded that we have helped our partners move closer to their goals. If anyone wants an average day, Twenty5Eight isn’t for them! Listen, read and learn. This applies to all parts of our business. 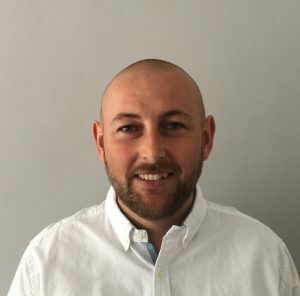 Our insight manager Robin is very much at the forefront of new technology and writes a monthly blog that allows anyone in the industry to help keep their finger on the pulse. Having Robin across this allows us to know and understand where the market is going and which of the players within the categories are going to be leading the way. From a client point of view, we review every project with our partners because our partner feedback is key in helping us to make sure our offering is correct, and we are giving them what they need to drive their business objectives. We sit down and have a coffee! We think the key to success when delivering a challenging brief is to take the time to digest, review and talk it through. Our team has a great mix of experiences from traditional FMCG, retail management and operations. One of our directors has 25 years’ experience of being brand side, so he is a huge help when trying to fully understand the client’s needs. He plays the role of our internal customer and it’s super useful for us. One of the biggest shifts in our business is asking the client what will be the 3 key things that the project will be judged on. This really focusses the efforts from our side and clients are loving it as it really helps them focus internally too. Having a diverse mix of experience allows us to make sure we explore all the angles that are open to us, using our past experiences on what’s worked and what hasn’t. Smart thinking is key to giving the client a detailed, well thought out proposal to meet their projects objectives. We have been lucky to work with some amazing brands this year and deliver some phenomenal sales results within a challenging retail space during 2017. However, I must say that the progress we have made with how we report back the detailed insight pack has seen us retain some great brands. Outside of sales, obviously our clients want data and supporting insight to help them make better business decisions and we have really upped our game in recent months. We have also integrated digital engagement and building digital communities within our overall service offering, this has enabled us to help create the awareness with the brand, retail partner and stores to drive consumers into where they will have a brand ambassador in-store, ready to give them a fantastic experience and drive more sales. We have lots of very exciting projects on the horizon for 2018. Overseas development is a constant request from our clients. We have been asked to develop our services in the USA, Europe and Asia. Any extension of our brand is all based around having the right people, and in Hong Kong and China we have some amazing partners who will replicate the services we have over here in the UK across South East Asia. We have just opened Twenty5Eight Asia, with the office situated in Shenzhen, China. Another exciting development which we are very proud of is an educational campaign with Premier League football clubs in conjunction with one of our branded partner clients. We are massively committed to training and education, so this is a natural fit and one we are very excited about and committed to. We feel that the access we have to elite sports franchises is another useful aspect to our clients and it’s something that we will be developing across this next period. Also watch out for a high-profile influencer campaign coming your way very soon that will make people sit up and take notice of Twenty5Eight and the creative reach we can offer brands that are looking for disruptive methods of engaging its audience in a unique way. Our team at the office are pretty high up on that list to be honest. Our business has secured and delivered big campaigns for 22 new clients this year and that is inspiring in itself! Also, I have to say as a Southend United fan, Michael Kightly signing for my beloved club has had me inspired since late August.